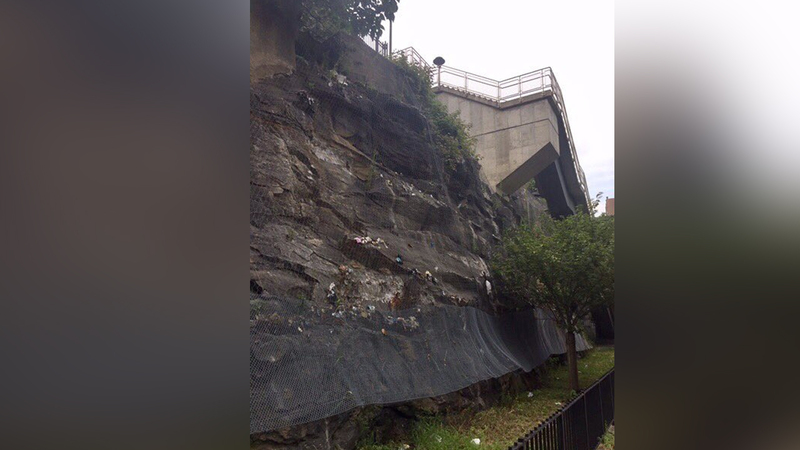 FORDHAM HEIGHTS, Bronx (WABC) -- Firefighters rescued a 14-year-old boy who got stuck on a narrow ledge 30 feet above the ground in the Bronx. The teen and his friend were playing near the Twin Parks Housing Complex on Tiebout Avenue and 183rd Street Saturday when he became stranded on the cliff. Firefighters used a ladder to bring the teen safely to the ground. The 14-year-old did not need medical attention.